As the rise in mobile devices such as smartphones, tablets and wearables continues, mobile apps have become an important of not only a business’s mobile marketing strategy but also their overall digital marketing strategy. A mobile app is a great platform to push out notifications to your customers, grow sales and promote your business. A well designed mobile app can enhance user experience by adding rich media and interactivity at the fingertips of your customers. Providing highly engaging media to your customers such as video and animations will lead to increased levels of customer engagement, which in turn will improve brand loyalty. When it comes to designing and developing a mobile app there are four key factors that should be considered; purpose, audience, stability and polish. When executed well, it is these four elements that can take a mediocre app and make it great. With mobile traffic overtaking desktop traffic, can your business afford to not have a mobile app? Let’s take a look at the four elements that can make a mobile app great. When designed and developing a mobile app the most important factor to consider is what is the app for? Apps which have too many features often appear confused and can find it harder to define their place in the app store and on their user’s devices. If an app does one thing well it has a better chance of success as the function and benefits of the app will be clear to the user and will lead to an increase in app engagement and brand loyalty. Who’s a Mobile App for? Once you are clear on what your app’s purpose is, you can begin to understand who your audience are likely to be and can design the app with your audience in mind. To stand out in the app store an app needs to offer its audience a USP, whether that is something new that they didn’t know they missed or a solution to problem that users struggle with on a regular basis. Is a Mobile App optimised? We live in a digital world and with that has come the expectation of having one click information available at our fingertips, quickly and reliably. Think about when you are using an app, if it continually crashes or is slow to load do you continue to use it? No, it is likely that you uninstall the app and search the app store for a suitable alternative. Ensuring that your app is optimised is key to creating a successful app. How does a Mobile App look? Make your app impressive by adding the finishing touches that enhance user experience and drive app engagement. A polished app that contains rich media such as sound effects, interactivity, video and animations can bring your app to life and will help your app stand out from the competition and will ultimately drive app downloads and use. 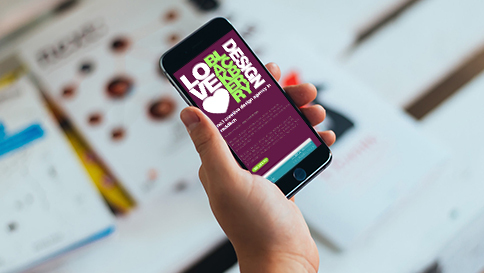 If you have any queries or questions about mobile app design or what Blackberry Design could do for your business, get in touch on 01527 517309 or fill in our contact form.